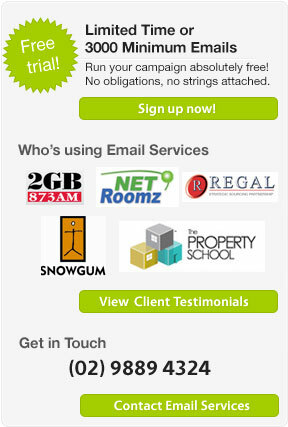 Email Services provide a comprehensive range of fully-managed email marketing services. We enable you to reduce your current email marketing costs, maximise the reach of your email campaigns and obtain critical intelligence about your email marketing campaigns. We'll integrate your brand into an email design, as well as do the hard work building it, so all you need to do is write your email contents and send it to us. How many people have opened your email? How many people have clicked on links within it? How many are yet to open it? With our built-in Analytics, you answer all these questions. No software and hardware to install, just let us do the work on our secure and effective servers and watch your campaign being delivered right to the Inbox.